Viewed initially by some as too cumbersome or impractical, resistance to using one or two-way radio headsets dramatically changed during a trial which saw supervisors and banksmen within the business’ southern division issued with the new gear. 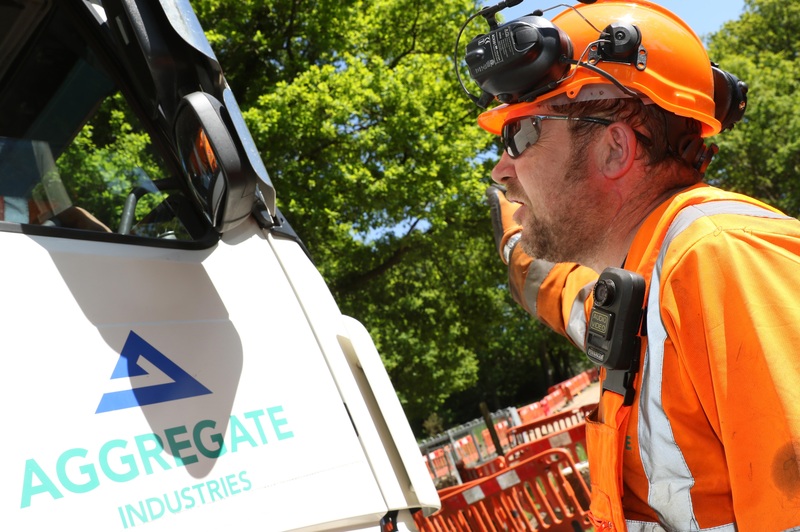 Not only did the two-way headsets enable them to talk directly to everyone onsite, they also encouraged site workers to communicate in a respectful fashion. Using these helmets meant that hauliers and site operatives alike received direct, clear instructions by selected radio channels via headsets, as well as vehicle radios.